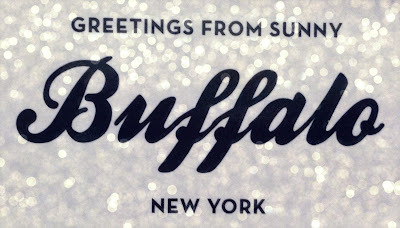 Did you know that Travel + Leisure Magazine just named Buffalo America’s Favorite City? And what better time to visit Buffalo than Memorial Day weekend? Whether you are running the Buffalo Marathon, cheering for friends and family running the Buffalo Marathon or just celebrating Memorial Day and the unofficial start of summer, Western New York has something for everyone. 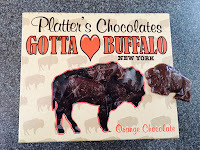 With just over 2 weeks to go until the Buffalo Marathon, I compiled a list of some of my favorite things to do and places to see in the place I still call home. Before I could even walk, my parents would take me to this little hole in the wall on Oliver Street in North Tonawanda called Klimek’s Tavern. 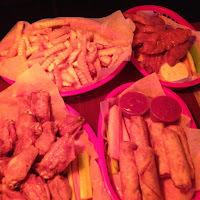 You can visit the Anchor Bar on Main Street in Buffalo for “The Home of the Original Chicken Wing” but Klimek’s Tavern is my pick for best wings in Western New York. While you’re there, make sure to order Pizza Logs and crinkle fries. If you don’t know, now you know. 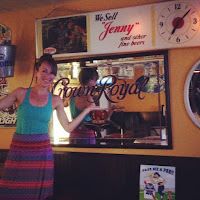 Run Jen Run Tip: Don’t call ‘em buffalo wings. In Western New York, they’re just called wings. Tim Hortons is to Western New York as Dunkin’ Donuts is to New England but SO MUCH BETTER! Tim Horton was an NHL legend before becoming the coffee king of Canada. First of all have you ever heard of sponge candy? 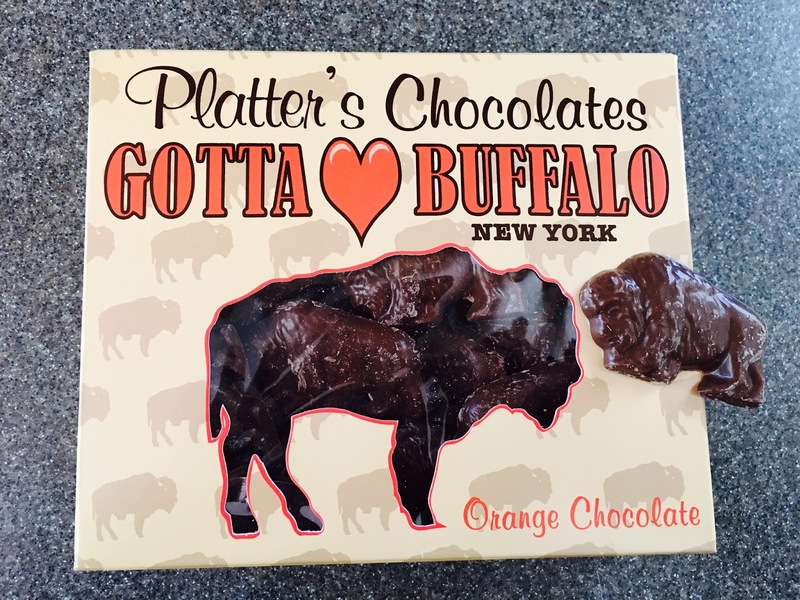 It’s a Western New York favorite and Platter’s Chocolates claims they have “the absolutely best orange chocolate and sponge candy around.” I personally love the Orange Chocolate flats. My parents enjoy the sponge candy. Just try it. You won’t regret it. I LOVE NIAGARA FALLS. 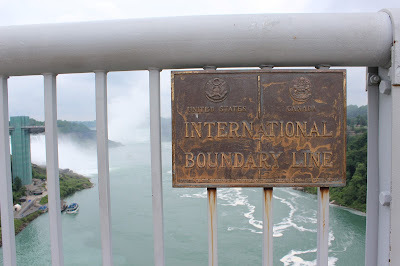 Only a short 30-minute drive from Buffalo, Niagara Falls is a bucket list location that everyone should visit at least once in his or her lifetime. Don’t be turned off by how ghetto the actual city of Niagara Falls is though! There is also construction going on right now to be completed by “Summer 2016.” Bring your passport and check out the Canadian side for a better view of the Horseshoe Falls or even better, take a ride on the Maid of the Mist to get the best view of this natural wonder. Are you a thrill seeker? The Whirlpool Jet Boats may be more your speed. Be careful though—you not only sign a death waiver, it could threaten your marathon experience. I got whiplash from the forces of the waves crashing on us and couldn’t turn my head for a week after. (Thanks Melissa!) Whatever you decide to do, be a total tourist and take a ton of pictures. Save this for a post-race activity… if you can handle it! The Niagara Gorge is one of the Falls’ best kept secrets. 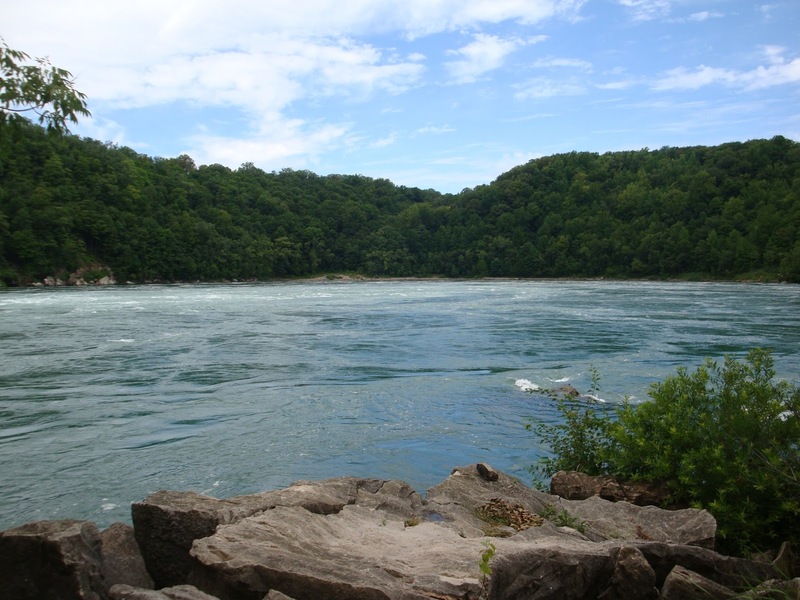 The hiking trail travels along the Niagara River with about 400 stairs to get you down to the whirlpool rapids and Devil’s Hole. Pretty water, beautiful views and a very challenging workout! Breweries are popping up everywhere in Western New York. Flying Bison is brewing a special “Mile 27 Beer” for the Buffalo Marathon post-race party. To continue to the party, visit Pearl Street Grill & Brewery, Big Ditch Brewing Company, Resurgence Brewing or Community Beer Works to discover your new favorite craft beer. Did you know that bars stay open until 4am in Buffalo? If you’re ready to take on Buffalo’s nightlife, head to Chippewa Street. You will find bars, pubs, taverns, lounges, nightclubs, and wait—did I say bars? Want a little less crazy? Elmwood Village also offers a fun bar scene. The Buffalo Bisons are a professional minor league team and Triple-A affiliate of the Toronto Blue Jays. Buy your tickets to Coco-Cola field on Monday, May 31st as the Bisons take on Columbus at 4:05pm. I love visiting the local zoos when I’m traveling. My uncle used to work at the Buffalo Zoo, which is America’s third oldest zoo. While it’s not the biggest or prettiest zoo, they do have polar bears, bison, lions, giraffes, gorillas, Asian elephants, Siberian tigers and so many more! From its unbelievable selection of prepared foods and massive bulk candy aisle to its fresh produce and beer for sale, Wegmans is more than a grocery store. In fact I never visit Western New York without eating at least one, often two or three, subs from Wegmans. Honorable Mentions: Relieve History at the Buffalo & Erie County Naval & Military Park, Tour Old Fort Niagara, Visit Canalside, Rent Kayaks & Paddle the Erie Canal, Stop by Food Truck Tuesdays at Larkin Square, and Go To Mighty Taco. What are your favorite things to do in Western New York?